In those times entire dictionaries were dedicated to flower meanings. 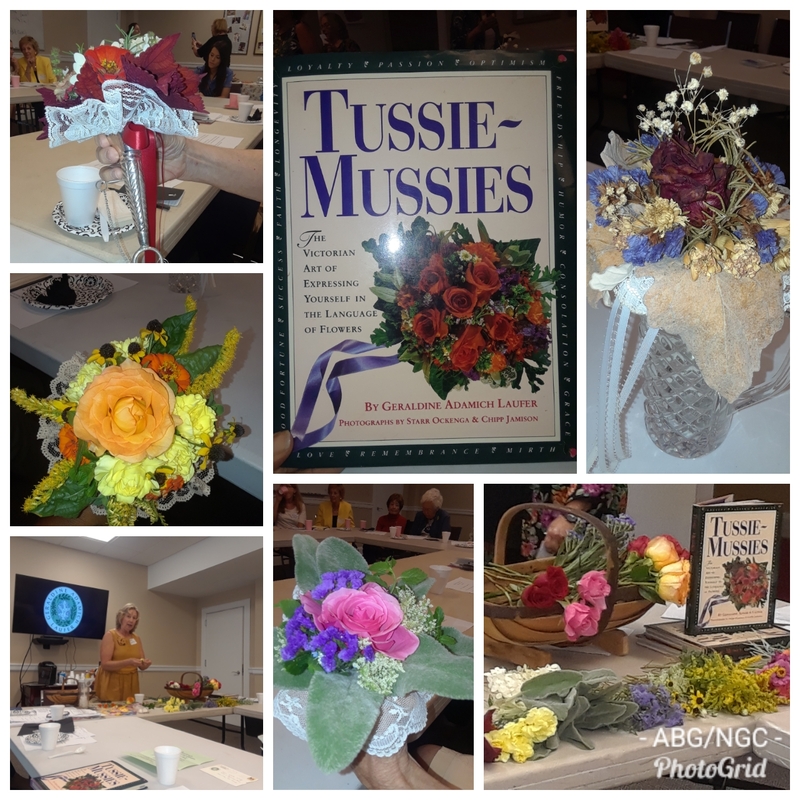 Geri is a great historian and explained to us that in Victorian times women were expected to be able to arrange tussie mussies and one way for a woman to make her own money was to write books about flowers and such. Many of the books Geri studied in the creation of her own book were written by Victorian women. Corsages and boutonnieres give way to modern day tussie mussies or nosegays as they are also known as. In fact, the word tussie mussie derives from Turkey. The Turkish language and their affection from rhyming. I too have a soft spot for rhyming. I came very close to naming my daughter Tenny Penny! In the book you will see many of Geri’s family heirlooms and family photos. It was a pleasure hearing the rich evolution of flower carrying and wearing. Watching Geri beautifully arrange a tussie mussie. Not to mention Geri’s love and depth of knowledge comes through true and true.